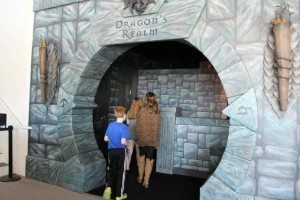 Have you seen the big castle in Pigeon Forge and wondered what MagiQuest was? For us, it was one of the most fun and inexpensive places to go. 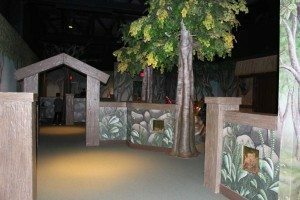 For only $21.99 you get to spend an hour at MagiQuest, go through a Mirror Maze, pretend you are a spy and play 18 holes of putt putt. Yes, for $20 (please note that this deal at some point may not be available or the price has increased. Please check out their website HERE, or give them a call for current prices). 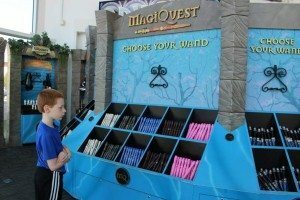 MagiQuest itself was so fun! You can either purchase or borrow a magic wand. For the $22 deal you borrow a wand. If you choose to purchase a wand, there are a bunch of different ones to choose from and you can even buy different toppers. 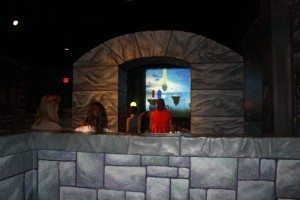 Once you have your wand, one of the staff members takes you into a room with a video that will show you how to work the wands and give you tips on completing the quests. They then give you a booklet with the different quests. The book starts with easy ones and gets harder as you go. You will probably not be able to finish the entire booklet in one hour, so just do what you can. There are 3 different rooms filled with all sorts of interesting things – Village Realm, Forest Realm, and Dragon’s Realm. You start out in the main area in the middle of the Quest and you use a computer to pick the quest you want to do. 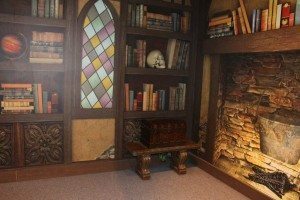 Once you figure out the clues in your booklet, you go to the area in one of the rooms and use your wand to capture it. You will be surprised how many times you go back and forth between the rooms and start remembering what you are seeing in rooms for future clues. If you get stumped, just ask one of the staff members for help. They will give you hints so you can find your next item. Once your hour is over the wand does not work anymore. You can always pay for more time if you would like. They also keep your information on file so if you go back you can figure out which quest you are on. It was perfect for my 10-year-old who loves mysteries and adventures, even my 14-year-old daughter thought it was fun. It might be harder for those that cannot read themselves, but if you help, they would still have a great time. You could even make it a family competition. If playing MagiQuest wasn’t enough, you still have 3 other things still to do. The Odyssey mirror maze was a new experience. I’ve never done a mirror maze and it was really fun! You get gloves and a few instructions and off you go. It took us about 10 minutes to get out, all the while laughing at each other. The Vault will make your inner spy come out. It’s a room with various lasers and the objective is to crawl, go over, go under, etc. the lasers to get to the other side. Once your out, you find out how many lasers you touched and how long it took to get through. You can go by yourself or with a partner. 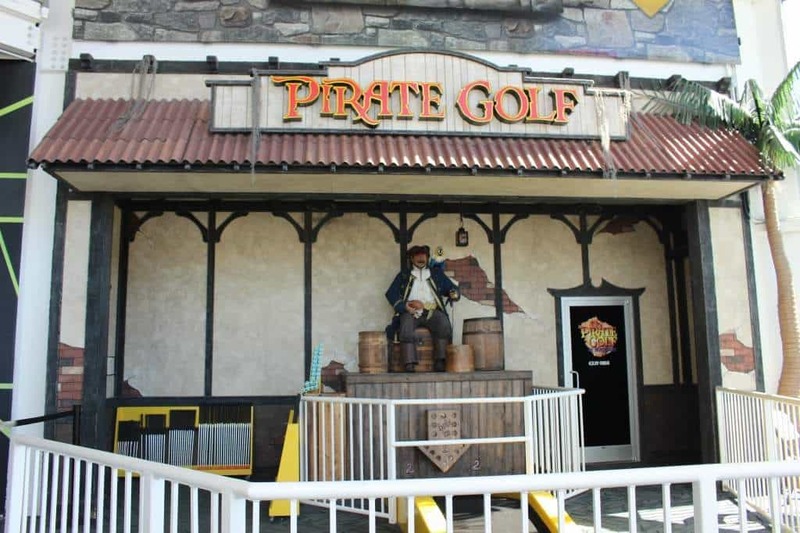 Finally, get your putt putt on and play 18 holes of Glow Pirate Golf. We had such a great time that my son has already bugged me about going back when we stay in Pigeon Forge again.